Hello friends! 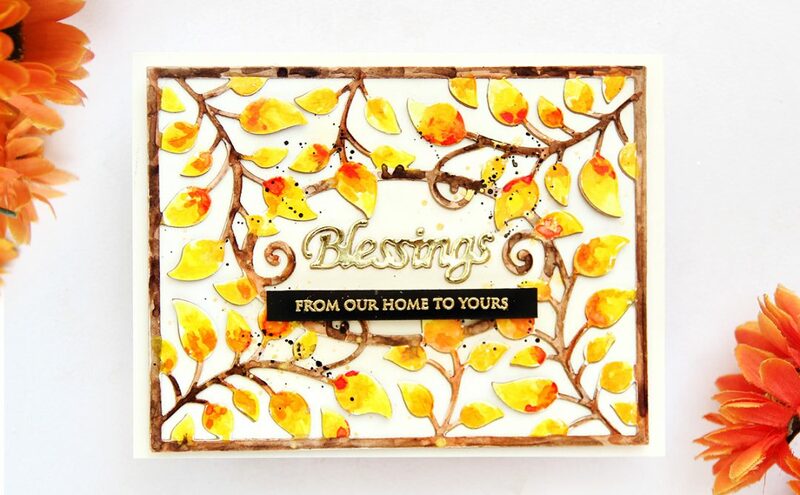 Erum Tasneem here again with some inspiration using Thoughtful Expressions by Marisa Job. Last time I was here, I shared THIS card using the same collection. Today, I thought I’d stretch my dies a bit. 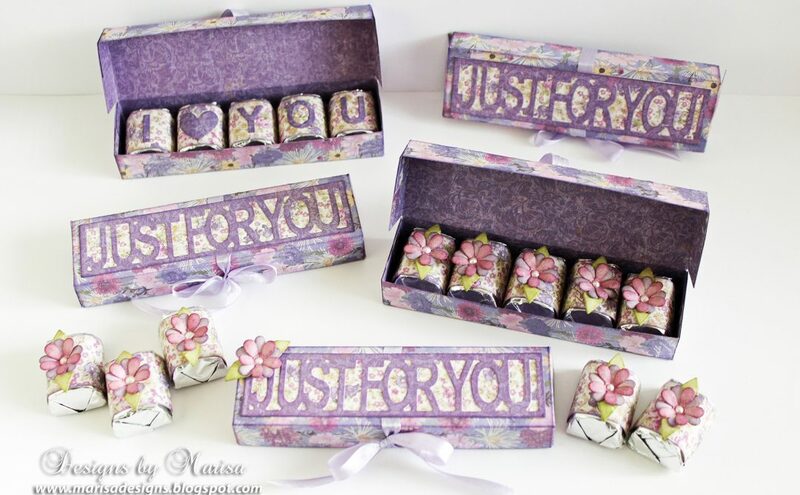 For my projects I have used the Just For You Box Etched Dies. For the chocolate box, I used the dies as is and made one in gold and black. I kept it super simple because the die does everything for you. Inside, I added a thin chocolate bar. I covered this up in black and gold designer paper by Papericious. 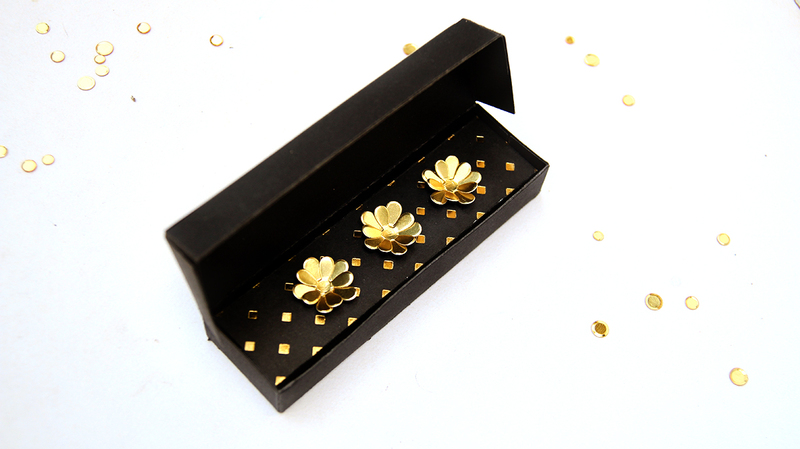 Next, I die cut three flowers with the flower dies that come with this set. 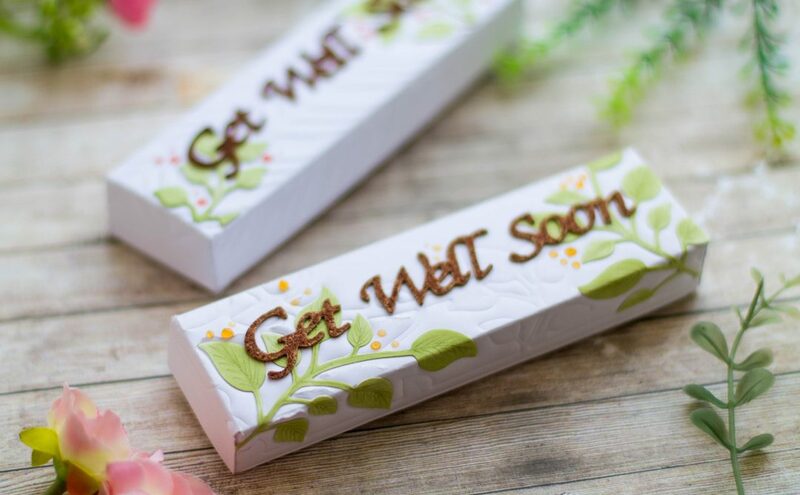 I die cut these in gold foil and popped them on the chocolate bar. For my card, I cut several strips of cardstock of various width. I popped these on a panel with foam tape to add interest. The reason I added these strips is because they went so well with the small rectangular die that comes in this set. 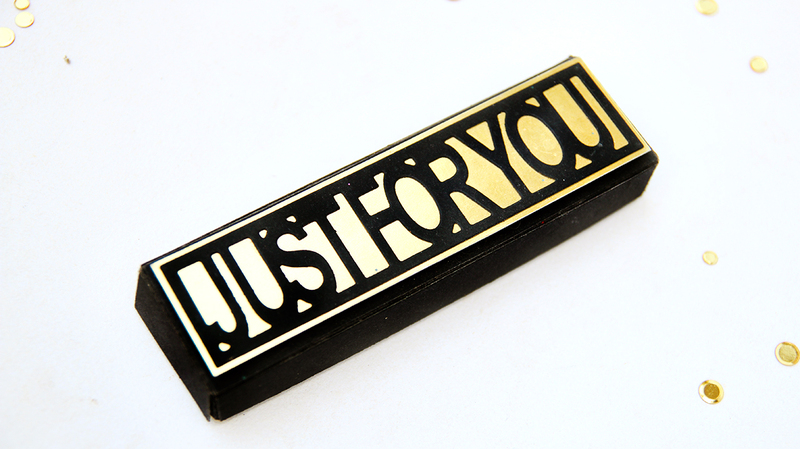 To this rectangular die cut, I added the die cut words I [heart] you, also included in the die set. 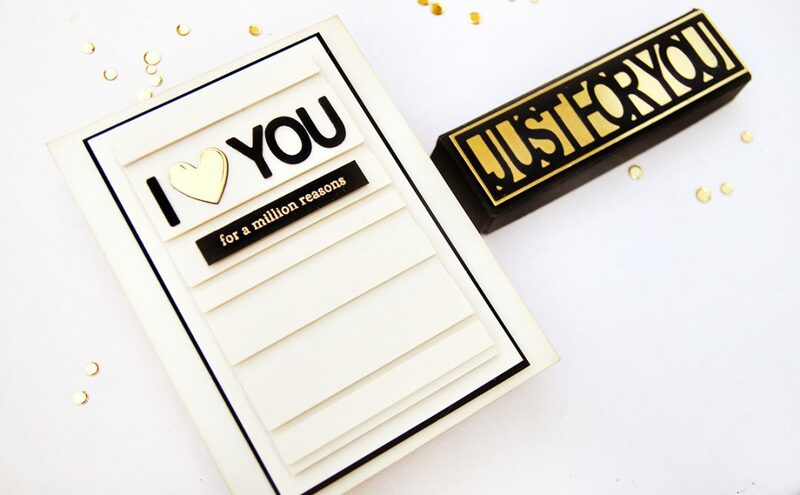 For the sentiment I heat embossed “for a million reasons” by Pinkfresh Studio in gold on black strip of cardstock. I hope I inspired you a bit today and that you will see your dies a bit differently and use them not just how they are meant to be used but think a little out of the box. 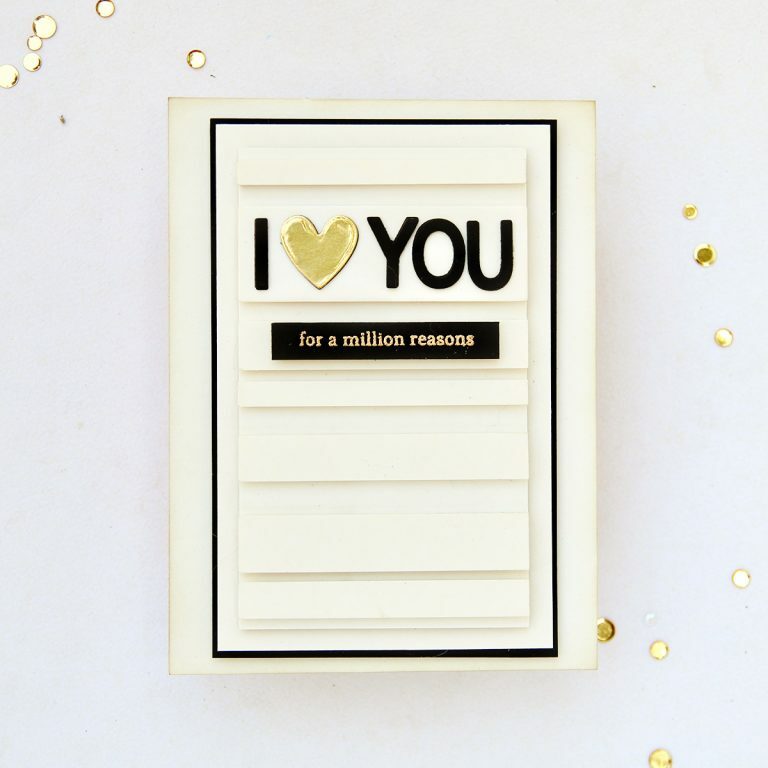 Black and Gold box of chocolates is beautiful, thank for the inspiration.